PCHS boasts a competitive Athletics program. Click on the image above for our Daily News. 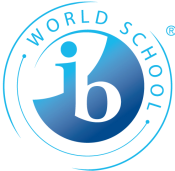 Click on the IB logo for more information about our IBMYP. Click on the image to find out more about the programs offered at PCHS. 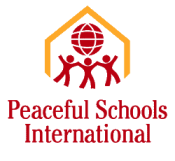 The students who attend PCHS represent many ethnic, cultural and religious communities. As a school we take special pride in the uniqueness and diversity of the PCHS multi-cultural environment. In addition, our community brings together students from a variety of socio-economic backgrounds with different learning needs. Today Pierrefonds Comprehensive provides its students with an outstanding education, offering courses in English, French and Spanish, as our varied programs require. With an emphasis on "success for all", PCHS strives for excellence through strong academic programs and a commitment to developing the whole student. Our International Baccalaureate Programme attracts many students who are looking for the stimulation and challenge of this demanding alternative. Our special needs students are given many academic and vocational opportunities for growth and development. We can say with conviction that PCHS has welcomed everyone and worked to serve each student's needs with dedication. If your child is in grade 5 and NOT currently enrolled in an LBPSB elementary school, and you are interested in applying to any of the LBPSB High School Enrichment Programs when your child moves to grade 7, you must register your child to write the Enrichment Program Entrance Exam by April 6th, 2019. The exam date for external candidates is May 4th, 2019. When you register for the exam, you will be given the opportunity to have your child considered at no more than two of our secondary enrichment programs. We ask that you take the time to discuss this selection with your child before submitting your registration form. To view the enriched programs offered at our High Schools, please click here. Please note that your registration will not be complete until payment is received. Once all registrations have been received, an email will be sent out the week of April 8th with important details and the schedule for the day of the exam. Please note that parents of grade 5 students who ARE enrolled at an LBPSB school can register their child for the secondary enrichment program entrance exam via their Fusion Parental Portal account. The entrance exam will be written on the morning of Friday May 3rd, 2019 at their current elementary school. An ERMS email was sent to all grade 5 parents on Tuesday evening, March 12th regarding the procedure to follow. Help the PCHS Parents Organization raise money for events and purchases that enrich the school experience for both students and parents. Buy a magazine subscription for yourself, a colleague or a loved one at QSP.ca This website offers discounted subscriptions for Canadian, American and international magazines in English and French, some in digital format. A third of the purchase price is returned to the PPO for its projects. Simply follow this link. Or, go to QSP.ca and click on the "Shop Now" button. Enter the PCHS ordering code: 3976776.